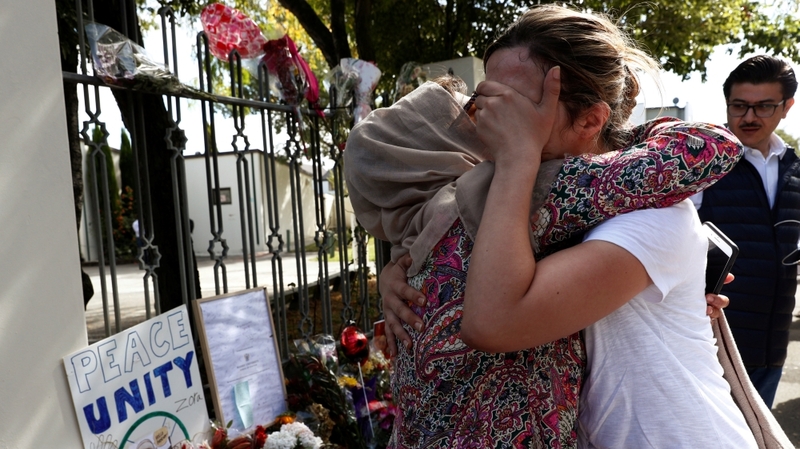 Christchurch, New Zealand – Christchurch’s Al Noor mosque has reopened its doors, eight days after they were shuttered in the wake of the killing of 50 Muslims in the worst mass shootings in New Zealand’s modern history. Officials at Al Noor, where more than 40 people were shot dead during the attack on March 15, started allowing small groups of people back into the complex to pray and pay their respects shortly after midday on Saturday. Armed police stood guard at the gates of the complex, which were lined with flowers and messages of condolence, and by the mosque itself as returning worshippers and new visitors entered slowly, side-by-side. Inside, amid the potent smell of newly-painted walls, visitors passed through an uncarpeted hallway as they headed to the prayer room, where the dull sobs of kneeling worshippers punctuated an otherwise pristine silence. Linwood mosque, some 7km away, however, remains closed in the wake of the attack, allegedly carried out by 28-year-old Australian-born Brenton Tarrant. Police have handed the complex back to the Muslim community, however, and shrunk security cordons around the site and at Al Noor. An armed security presence remains in force at both locations and at mosques around New Zealand. 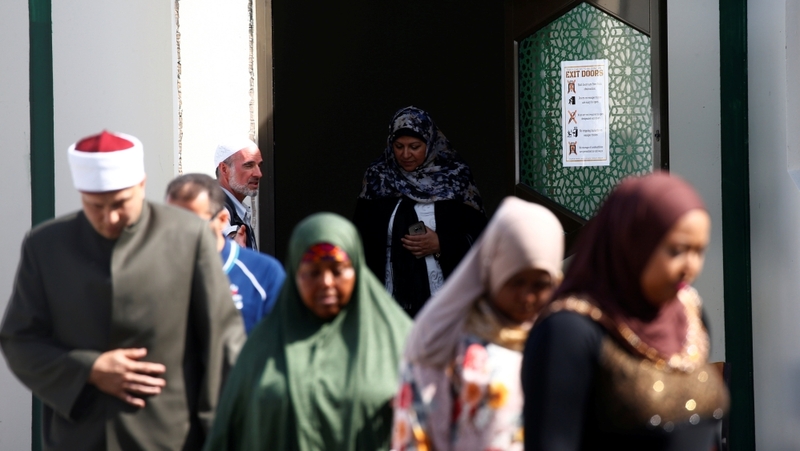 Among the scores of attendees at Al Noor on Saturday lunchtime was Fatima (not her real name), who said she travelled to Christchurch from Auckland to visit the mosque. “Something is pulling me, without entering in the mosque and praying I can’t leave. It’s coming from my heart,” Fatima told Al Jazeera. She said she would ask for “forgiveness” over last Friday’s massacre. “Our religion teaches us that all mankind should live under one umbrella in peace and unity, but we were unable to deliver that message to people in practice,” Fatima said. “We are sorry for that, and that 50 people had to sacrifice their lives to deliver that message,” she added. Suspected attacker Tarrant, a self-identified white supremacist who was living in Dunedin, on New Zealand’s South Island, has been charged with one murder following the mosque attacks. However, police said in a statement last week that the person formally accused of killing had been wrongly declared dead, adding Tarrant’s charge sheet would be updated when he next appeared in court on April 5. Tarrant, who was remanded without a plea in his initial court appearance a week ago, is expected to face more charges then. In the wake of his alleged attack, carried out using sophisticated weapons, New Zealand Prime Minister Jacinda Ardern has moved to ban semiautomatic firearms and assault rifles. Ardern has also launched an inquiry into the country’s intelligence services, who critics argue should have identified Tarrant as a threat prior to the massacre. In the minutes before his alleged attack, Tarrant published a hate-filled online manifesto which called for “violence” against non-whites and immigrants. Ardern called it a “terrorist” incident. Amr Soliman, another visitor to Al Noor from Auckland, said Tarrant had “failed” to sow division in New Zealand society. “He achieved the reverse, when he shot these people he united us, all of us, all the nation,” Soliman told Al Jazeera shortly after praying in the mosque. “This attack is unforgettable but I feel satisfaction, because I see that these flowers, candles and tears are from the people who are not Muslim … I thought that they loved us, but now I know for sure,” he added. On Friday, Ardern led the country in observing two minutes of silence, ushered in by the Muslim call to prayer, at a Friday prayers service held just metres away from Al Noor mosque. The ceremony was attended by an estimated 20,000 people, including 5,000 Muslims, the equivalent of a 10th of the country’s total Muslim population. Vigils and other public acts of mourning also took place elsewhere across the Pacific nation on Friday, which has undergone a national outpouring of grief unlike anything in its modern history since last week. Hours after the ceremony in Christchurch, relatives of the victims of the attack laid 26 of their loved ones to rest in a mass burial at the city’s New Park Cemetery. Amid the nationwide shows of unity following Friday’s attack, Muslim leaders and Ardern have also warned New Zealand and other countries must confront Islamophobia. Imam Gamal Fouda, prayer leader at Al Noor mosque who was present during the last week’s shooting, told the thousands gathered at the Friday prayers in Christchurch that “Islamophobia kills”, adding Muslims had felt its pain before in countries around the world, including the United Kingdom and the United States. He said the killing of 50 people at the Christchurch mosques last week “did not come overnight”, warning it was “the result of the anti-Islamic and anti-Muslim rhetoric of some political leaders, media agencies and others”. Fouda praised Ardern in particular for her response to the attack, saying her “words and … compassion” showed the Muslim community she was “one with us”, but called on “governments around the world, including New Zealand and the neighbouring countries to bring an end to hate speech and the politics of fear”. As elsewhere in the world, Muslims in New Zealand have not been immune to discrimination in recent years. Though the country is renowned for its perceived tolerance, experts have warned Muslims continue to face everyday racism, negative stereotyping, including in the media, and a lack of knowledge about their faith and its associated customs. Ardern, for her part, has said racism is something New Zealand needs to “confront as a nation” if the safety of its minority communities is to be assured. She has also called for a “global fight” against “extremism”, saying Tarrant’s nationality showed world leaders could no longer think of safety “in terms of boundaries”. Outside Al Noor, Australian Islamic relief charity delegate Jehad Skaf said more still needed to be done to eradicate Islamophobia and other forms of discrimination, but praised New Zealanders who had made a meaningful start on battling it back. “As Muslims, we have felt so much pressure since the September 11 attacks,” Skaf told Al Jazeera, adding he would “normally try to hide” his faith. “But at the moment I feel I’m proud to be a Muslim, walking the streets in New Zealand, people I don’t know are saying ‘As-Salaam Alaikum’ [‘peace be upon you’] to me,” he said, as mourners of all backgrounds congregated at Al Noor’s gates.